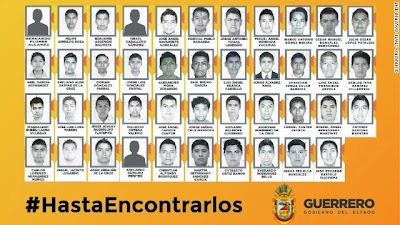 The 43 students remain disappeared since 26 September in the city of Iguala, Guerrero state, southern Mexico. Around 25 of them had been arrested by municipal police, while those remaining were abducted by unidentified armed men operating with the acquiescence of local authorities, a few hours later. 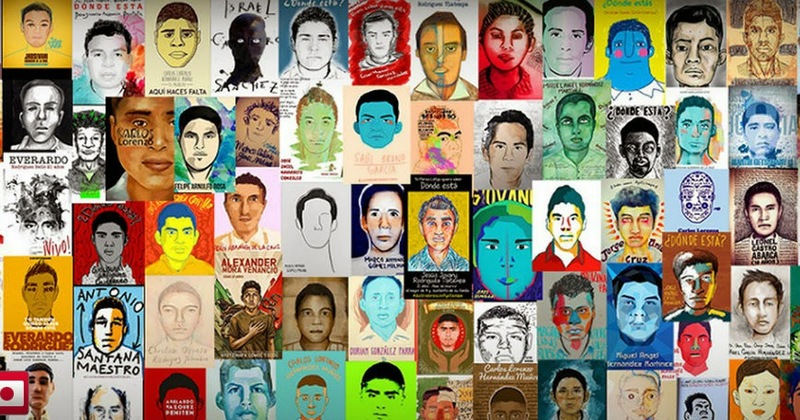 All missing students are victims of enforced disappearances. 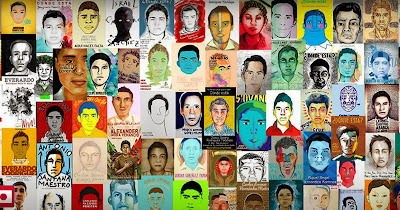 On November 7, 2014 at a news conference Jesus Murillo Karam, the Mexican Attorney General, announced that the students disappeared in rural Ayotzinapa had been "abducted by police on order of a local mayor, and are believed to have been turned over to a gang that killed them and burned their bodies before throwing some remains in a river." Putting an end to the press conference Murillo raised his eyebrows and said: "Ya me canse" or "I'm tired" and has now gone viral with the hashtags #YaMeCanse and #estoycansado. 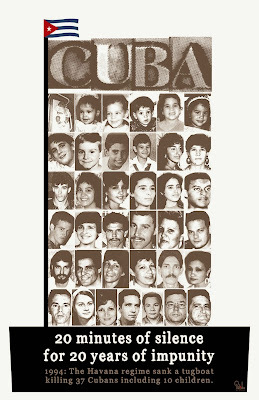 For Cubans this massacre twenty years after the July 13, 1994 “13 de Marzo” tugboat massacre when 37 Cubans were massacred by government officials is particularly shocking and strikes close to home as does the indifference manifested online by Nestle that made a joke out of the murder of these students to promote their Crunch candy bar. 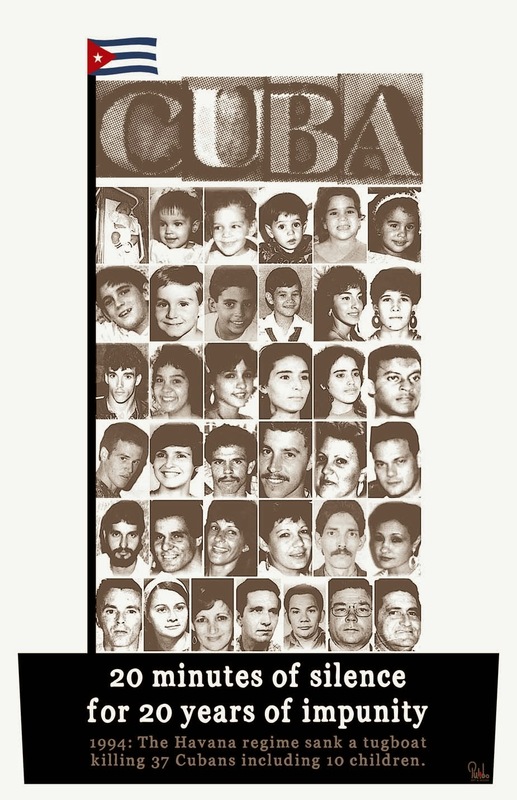 Twenty years later in July of 2014 in New York City, Washington DC, Miami and in Cuba demonstrations in the memory of the 37 massacred Cubans were held. 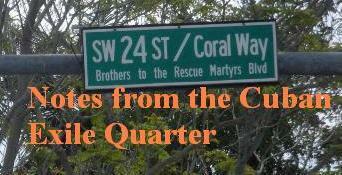 All these years later and the victims are not forgotten. This will also be the case for these 43 students. This is a crime that will not be forgotten but remembered for years to come. Both in the 1994 murder of 37 Cuban refugees and the 2014 murder of 43 Mexican students a Pope spoke out on behalf of the victims. In the first case it was Pope John Paul II and in the latter Pope Francis. 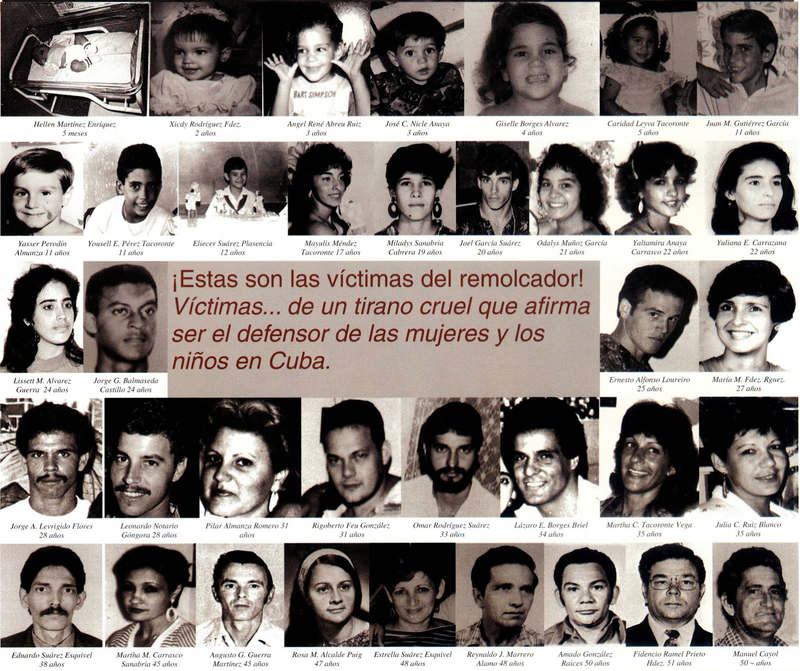 It is an outrage that 20 years after 37 men, women and children were massacred that not only the individuals responsible have yet to face justice but that the remains of the victims have not been recovered because of the intransigence and complicity of the Cuban government. Decades have passed but the names of the victims are not forgotten the list of names circulated on the date of the massacre and their faces remembered. The same is now happening with the names and faces of the 43 Mexican students. 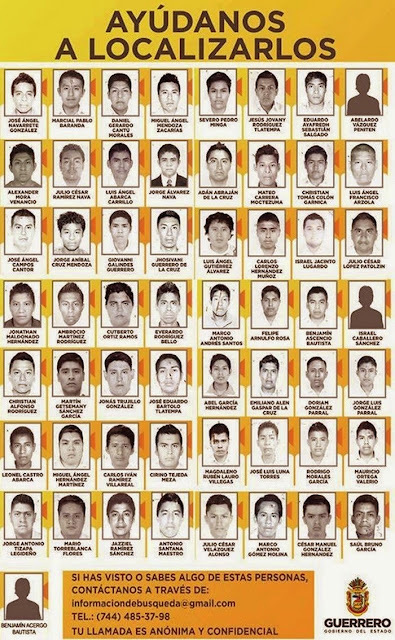 It is a shocking outrage that a crime on a roughly equivalent scale in terms of the number of dead has been committed in Mexico. 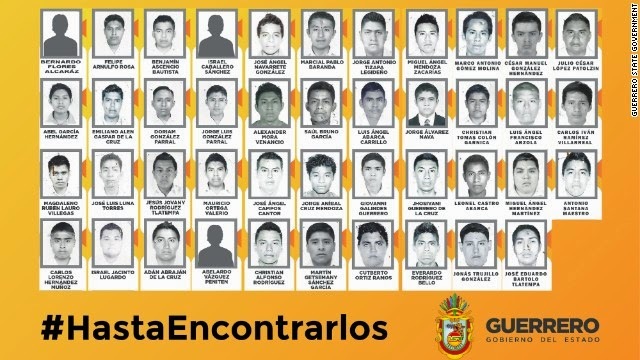 At least in Mexico, it appears that the lowest levels of this criminal act have been arrested. Let us hope that all those responsible for this atrocity be held accountable and the students (in whatever condition they are found) be returned to their loved ones. At the same time let us send a message to Nestle and boycott their candy bars in a sign of protest for their disrespect of the victims of this massacre.